Barborka On The Run: Live High Train Low ... Loving It! 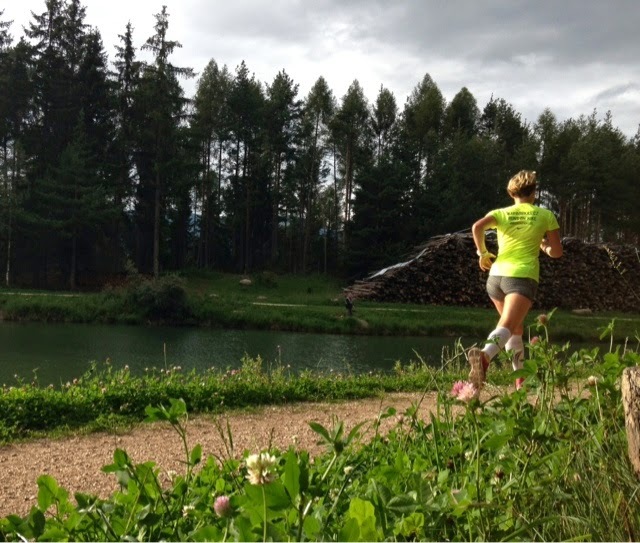 As I described in my previous post, there is the whole Alpe di Siusi Running Park with different tracks available. What is cool about it that it gives you idea of other places to run than what is just around your hotel etc. 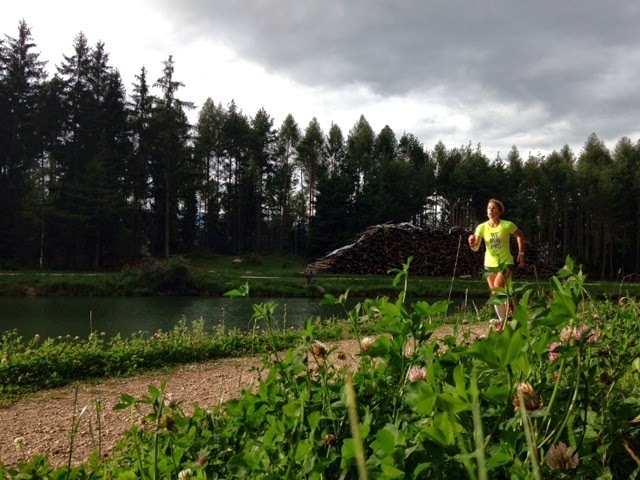 That is how I found out there is a short loop course around a lake down near the town of Völs. It is called Laghetto Huber Sprint and it is perfect 800 m flat loop on gravel surface with each 100 m marked, great to do your repeats! And the altitude is about 1 050 m above sea level, meaning almost 800 m drop from where I stay - perfect. 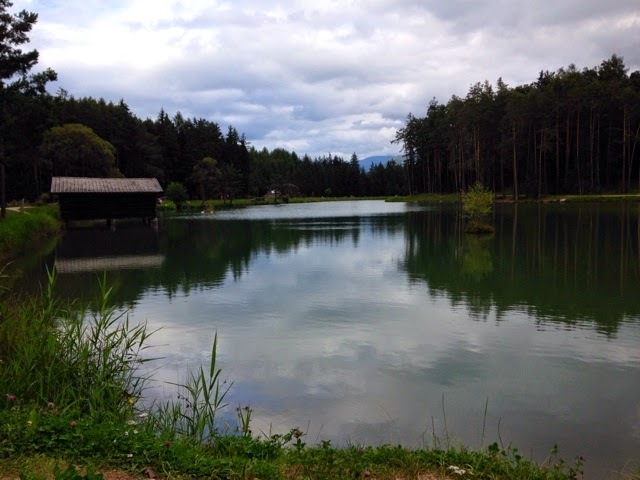 It is about 30 minutes drive, I wasn't totally sure about going there, but now I am so glad I did! And back to the running and training, that's why we are here, right? 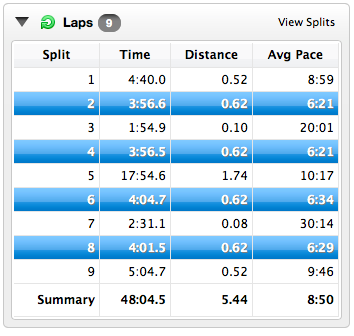 The plan for this session was 2x 1 km (4:00-4:10 per km = 6:26-6:42 min/mile pace), 3 km super easy recovery, 2x 1 km again. The slower second set points out to me being tired - what a surprise! :D :D :D But overall I am so excited for this workout, the hard work pays off! 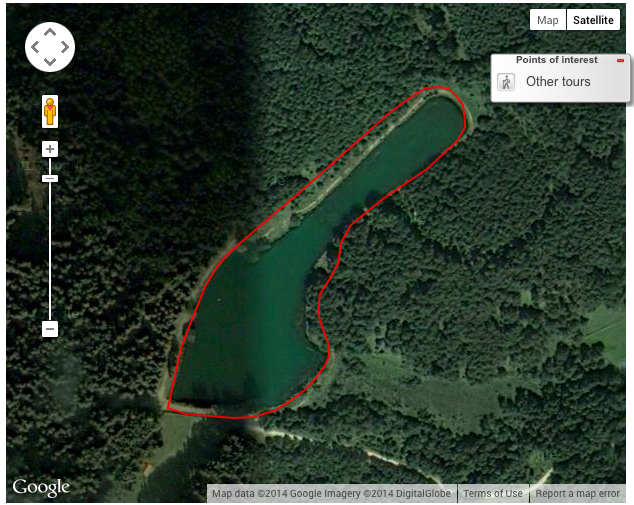 :) You can check the Garmin activity here. 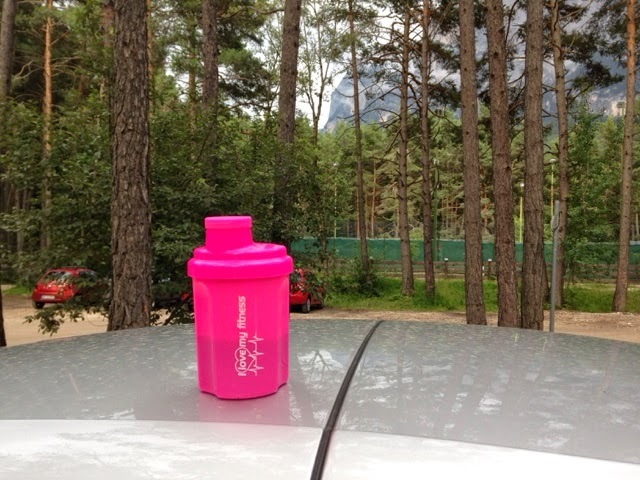 As there was 30 minute drive back up to Alpe di Siusi, I had my Generation UCAN with protein ready for post workout recovery. Fueling right after hard sessions is crucial for recovery and for being ready for your next workout! And as I am upping the efforts and volume with this training camp I am back to Compexing for better recovery! wow!amazing! this route should be my favorite.. Good job, girl!